Welcome to Near Southside, Inc. - Near Southside, Inc. 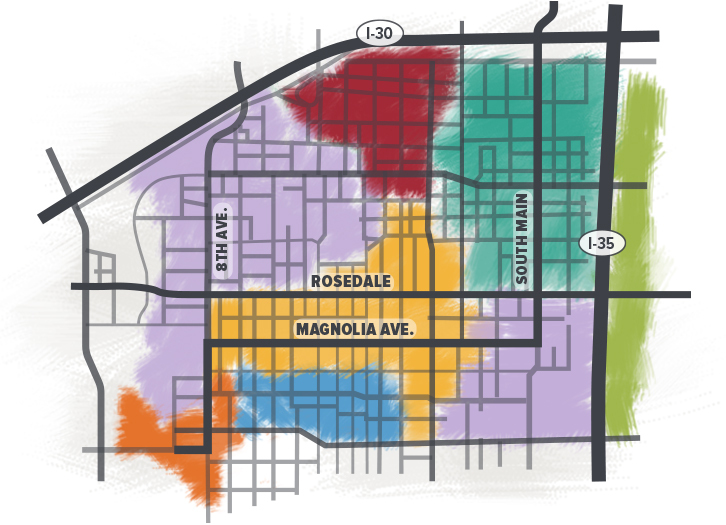 The Near Southside, a roughly 1,400-acre district located just south of downtown Fort Worth, is growing following the principles of smart urban development, sustainability, a mix of uses, walkable and bike-able streets, and truly livable pre-suburban neighborhood design. It is the heart of Fort Worth's creative class and offbeat indie spirit and is experiencing an amazing renaissance, with dozens of restoration and new construction projects transforming the district and attracting new residents and businesses. In addition, the area’s renowned restaurants and historic landmarks attract visitors from throughout the region. NSI is partnering with the City of Fort Worth on an important planning effort to study the district’s drainage system and flooding risks. 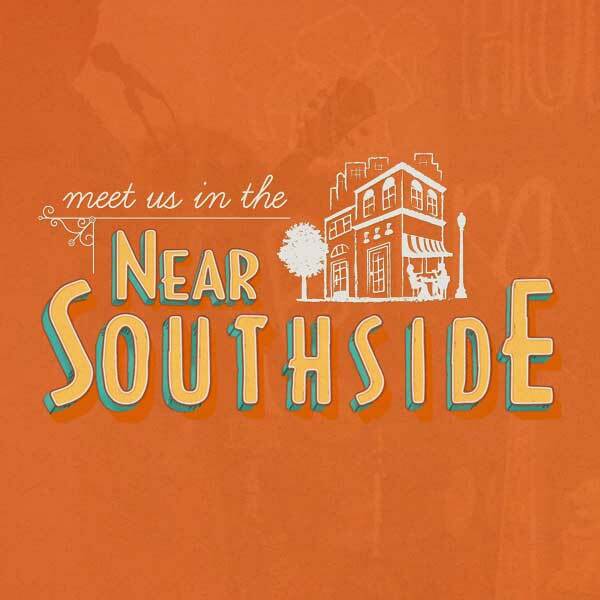 Learn More About Near Southside, Inc.
Near Southside, Inc. began as a small coalition of Near Southside businesses and community leaders, and has grown dramatically over the last two decades. 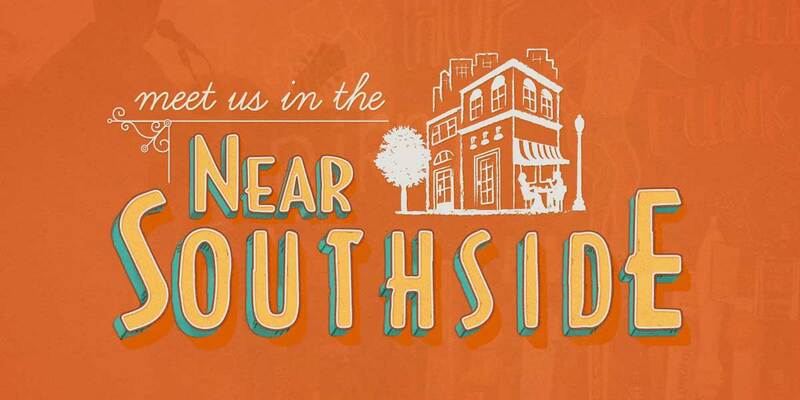 We invite you to join us as we promote the ongoing redevelopment of Fort Worth’s Near Southside as a vibrant, urban, mixed-use neighborhood. 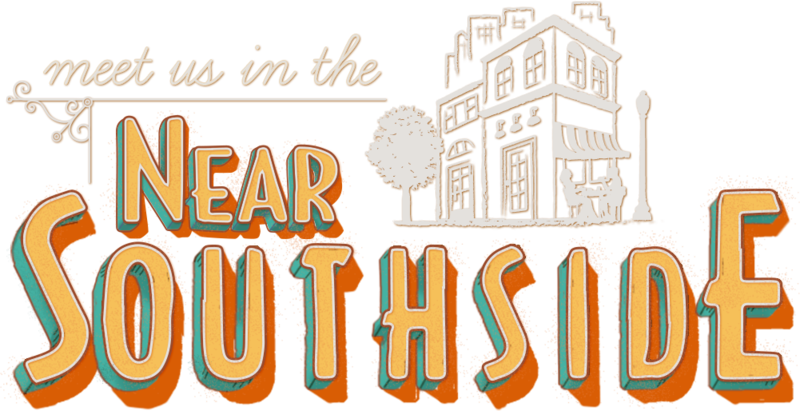 A recent article spotlighted a range of new Near Southside businesses, from a tiki lounge to a bridal boutique. JuJu Knits, coming soon to the Fairmount neighborhood, and its founder Julie Hatch-Fairley are the subject of a 360 West cover story. Nickel City will open a new location in a historic building on South Main Street.